We all have events or something we can point to that changes us. For me, it was one little recipe that I watched being created on the Food Network that would do it to me. 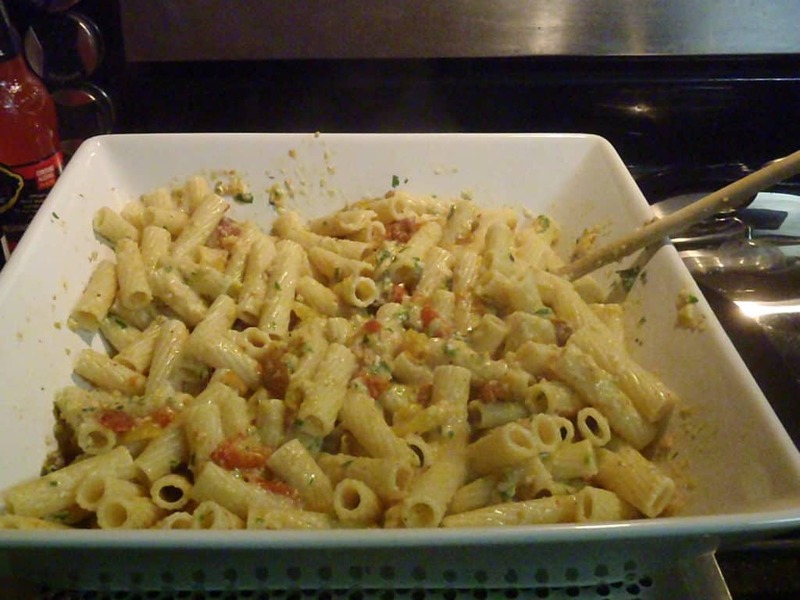 Giada’s Pasta Ponza. Now while I’ve always played in the kitchen, historically, I wouldn’t have really called myself a cook or a baker. I just opened boxes and put things together. To me that wasn’t cooking. It was better than going out, but not actually cooking. I didn’t grow up in a house that cooked a lot and we certainly didn’t have a garden that was anything more than decorative. But pasta ponza sent me down a rabbit hole that I had no idea even existed. Turns out that was an adventure that still all these years later is still going strong. So what was it about pasta ponza that was so eye opening? It’s all in the ingredients. For those that have actually grown up around gardens even if they were small I think you take for granted how amazing that is. And while once I got older I always had some sort of garden going, it all just came from the store. Every spring we would go down to the garden center and pick out things that we wanted. Nothing exciting really because it was just your run of the mill basics. We always had tomatoes, lettuce, cucumbers, and squash. Then we added corn just to play with, but it was always something that someone else had picked and grown. Truth be told I had no idea the variety that was out there, or flavor. Fresh Cherry Tomatoes from the garden. How the jump down the rabbit hole of gardening and seed starting for edibles began. Grow your own. Ingredients. Such a simple thing right? Wrong. In this particular case it called for yellow and red cherry or grape tomatoes. In the episode there were described as pear. I loved the look of the dish. The problem was that the store only ever had red. Obviously there were other colors because she had them on TV. Now because we had the garden I knew I could grow cherry tomatoes. I never had any problem with those. So I hit up our good friend google and tried to find cherry tomato seeds. Well, well, well. You would not believe the results. Place after place of seed catalogs. When you started looking at the cherry tomatoes I couldn’t believe how many different colors there were! Then, as if that wasn’t enough, I just had to start peaking around at the other options of seeds that they had. Litterally all this just for some different colored cherry tomatoes. Pasta Ponza triggered a rabbit hole like I had never experienced before. I couldn’t stop looking. It was crazy the options that were out there. So because I wanted to have my different colored cherry tomatoes there I was scanning page after page of all kinds of seeds. So I got a few different ones. My first attempt was red, white, yellow, orange, and black. Oh and the world’s tiniest tomato just because it looked so damn cute. 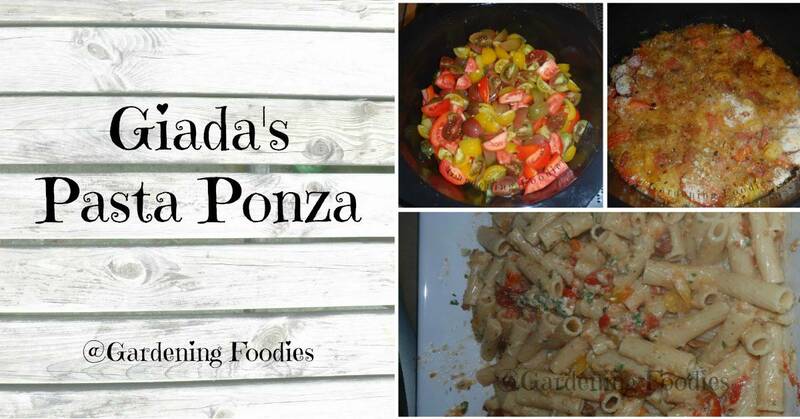 Grow them I did and of course I then had to try my hand at pasta ponza. PS this was also my first attempt at a pasta dish that didn’t have a sauce that came out of the jar too. 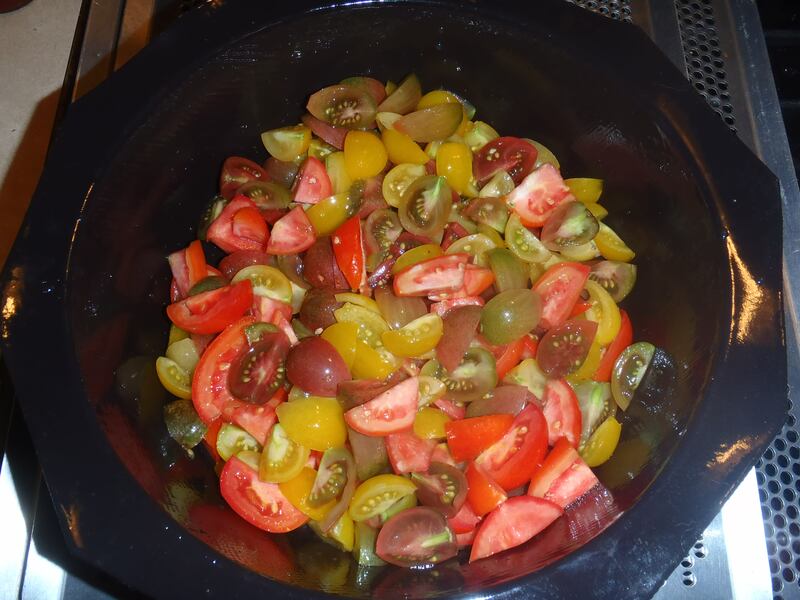 Not only did I have great luck growing all my cool colored cherry tomatoes, I had a new dish that we all liked. Personally I don’t know which win is a bigger deal for me. So check out the original recipe over here on food network. PS. 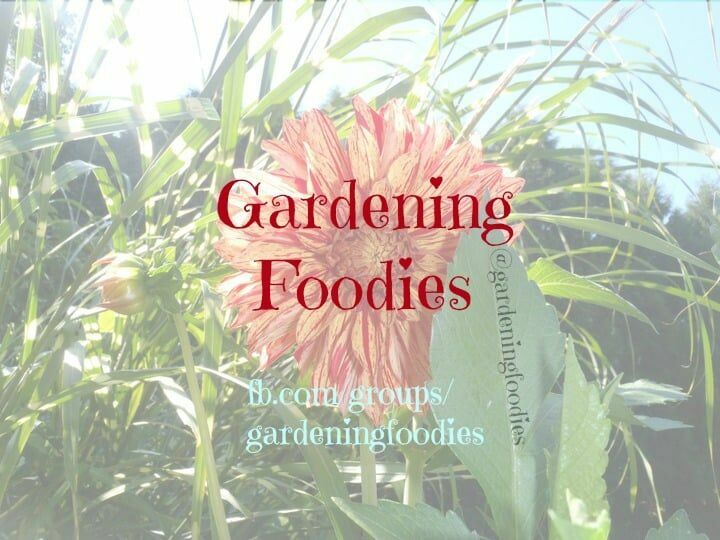 Don’t forget to check out our growing community over on facebook. Check it out here. PPS. 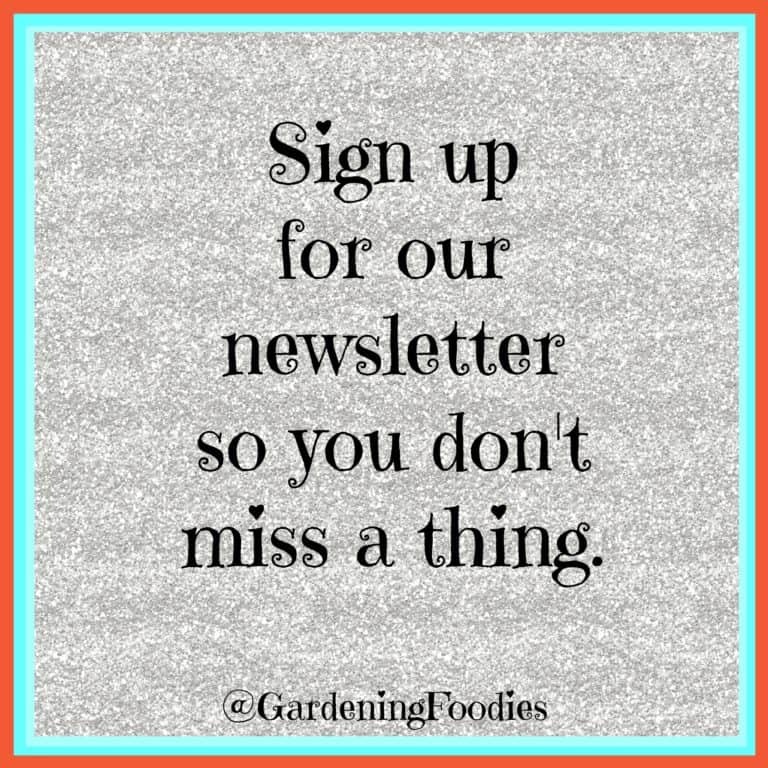 Sign up for our newsletter so you don’t miss a thing. Sign up here.